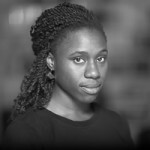 D&S fellow Mimi Onuoha participates in the ‘Tech-Driven Activism’ panel at Eyeo 2016. Tech-Driven Activism – How can code-based practices contribute to effective activism? How can activist approaches allow us to examine and interrogate systems of technology? In this panel, a diverse group of artists and activists discussed how they are approaching these questions through their work and research.